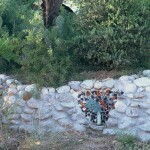 We offer Permaculture Design and Site Assessment Services by the hour or by the project. Please send inquiries concerning rates and scope of our design services to our manager at dorsey@dakotacom.net or by calling our office one and a half miles north of downtown Tucson at 520-624-8030. 1. Project: Completion of over 175 consultations, site assessments, and designs on urban sites, rural sites, organic farms, commercial sites, schools, and public green infrastructure projects for both individuals and organizations. 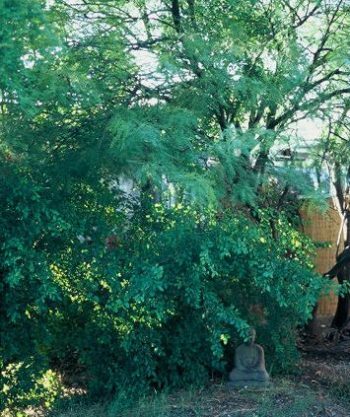 We believe in walking our talk, so we started designing and implementing Permaculture two decades ago on our one fifth acre classroom and office site, located one and a half miles north of downtown Tucson. The site when we started was completely devoid of any vegetation and the only building was a small slump block house built in 1947. Today our office/classroom site is an integrated and thriving community of edible plants and structures that demonstrate strategies for sustainable living in our beautiful Sonoran desert. 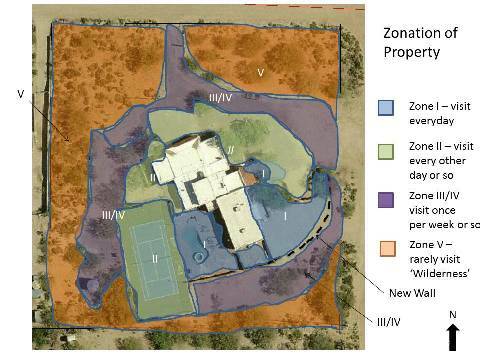 Features on site include classrooms, an office, solar panels, swales and basins for water harvesting, cisterns, vegetable gardens, an energy saving retrofit of the block house, and a native multi-functional landscape of drought tolerant trees and shrubs. The most important feature is that all of these components are placed in beneficial relationship to each other, following the principles found in intact ecosystems and in the Permaculture system of design. Working with the staff of Parks and Recreation, as well as volunteers from Tucson Clean and Beautiful and the adjacent Myers Neighborhood Association, we designed and re-vegetated a bare and compacted five acres along the eastern edge of this Tucson city park by cutting large swales with heavy machinery and raking in a seed mixture of native plant species. What was once a bare site is today a thriving plant community of native trees and shrubs – supported entirely on harvested rainwater. Sequence showing the Freedom Park project at year one (first picture) through year eight; now this site is a thriving urban forest of native trees, shrubs, and wildlife supported by water harvesting swales. As featured in an article in the Permaculture Drylands Journal, we ripped up the asphalt of the parking lot along contour lines. Water harvesting swales were constructed along the contours and basins next to the location of the roof gutters, and parking spaces were re-aligned. 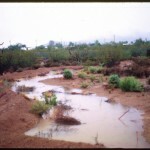 Native trees were planted in the swales. After only one year the trees were in some cases three times their original size, thriving and supported only by runoff from the parking lot and roof of the warehouse. These trees shaded the parking lots and the west side of the building within three years. Above: First picture – parking lot before. Second picture – parking lot with planted swale and realigned parking spaces. The speed bump to the right is placed slightly off countour to divert water from parking lot into swale. 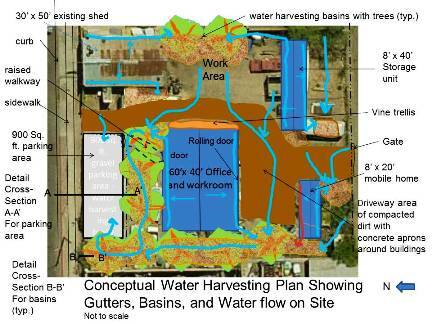 Above: First picture -year three – trees in parking lot swales and second and third pictures – trees in basins next to building all the water for these trees is supplied by roof runoff. Client: Fundecai, the Mexico office of Save the Children: With a grant from the U of A Anthropology department and from the Mexican non profit Fundecai, we were able to design and then construct – with the women of the Aves de Castillo Barrio – a prototype straw-bale home and Permaculture site in Ciudad Obregon, Sonora to replace one of the plywood and tar paper shacks that was being used as housing in the community. Based on this first prototype, more grants were obtained by Fundecai to continue this building construction in the barrio. 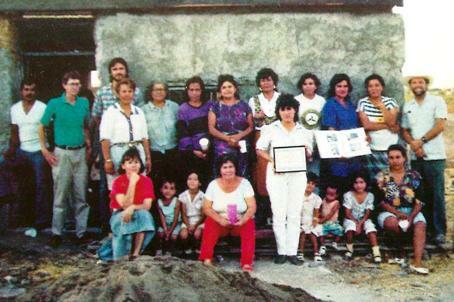 The Fundecai Woman’s Building group constucting the first straw bale house in Ciudad Obregon, Sonora, Mexico. We consulted on the design and building of a strawbale office for Heifer International; the office was made completely out of locally available materials. Labor was provided by local workers and a visiting Methodist Church group from Kansas. Building the first straw bale office in Central Mexixo out of indigineous and local materials. 7. Project: Working with home owners and owner/builders with consultation and designs of their natural, beauitiful, and energy efficient homes, including both new homes and retrofit of exitsting homes. SPG has designed, drawn blueprints, and consulted on over 85 homes and auxillary structures, such as home offices and studios. Much of these designs used a variety of natural and green building materials with the walls usually constructed of plastered straw bales. 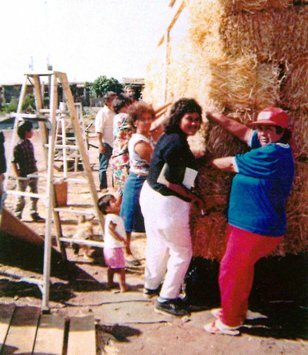 SPG obtained the permits and built the first permitted straw bale home in Pima County in 1993. Many of the homes we have designed included a design for Permaculture landscaping also so both the home and the landscape could reach full ptotential. We emphasize passive solar design, energy efficiency, and simple design features to create homes that are low energy use – yet also beautiful and functional. 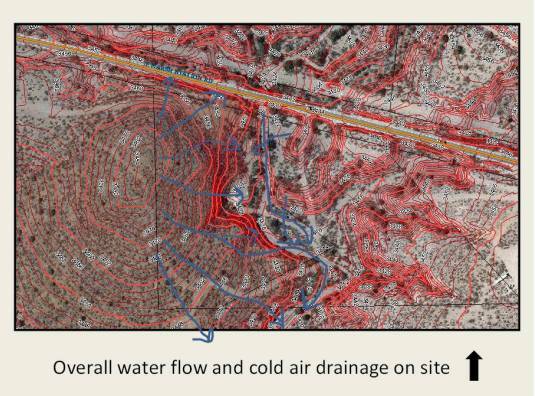 SPG taught the Permaculture Design course at Black Mesa on the Navajo (Dineh) Reservation for three summers. Besides teaching the standard curriculum, the hands on part of the course used a series of gabions and swales as water harvesting structures. Working with the native Dineh people, we restored an entire watershed on what was once severely eroded and overgrazed land. Springs that had been dry for decades began flowing again, and native trees and shrubs reestablished themselves. 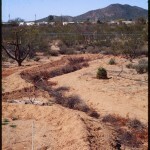 SPG took a badly damaged piece of property near Ajo and Kinney, and using swales as water harvesting structures along with native re-seeding and planting, returned it to a lush oasis. Pictures of Before and After – Each of these pictures is taken from the same spot over a ten year period.